A new era of additive is coming to your line-up! This amazing additive will offer you unlimited traction and grip like never seen before, will suit all your tracks and will improve your lap times as well as your driving experience. Tested by drivers like Ronald Völker, David Ronnefalk and Viljami Kutvonen proves this additive to be worth giving a try! The additive comes in a 60mL bottle with foam for an easy apply on your tyres. It offers grip depending on the time applied to your tyres (see our Grip Level Table). Mit diesem Chassis von Vigor kann man das originale Xray Chassis problemlos ersetzen und seinem T4 2018 einen neuen und frischen Look verpassen. Das Chassis ist nahezu identisch mit dem originalen Chassis von Xray! Hier handelt es sich jedoch um ein nur 2.0mm dickes Chassis welches etwas mehr Flex bietet – sehr gut für Strecken mit wenig Griff! Diese Gummischeiben sind perfekt geeignet um die Höhe der Karosserie etwas zu verändern. Aussendurchmesser 12 mm! Das “Body Repair Tape” von SMJ ist bestens geeignet um kleine Risse und Schäden an der Karosserie zu fixieren. Das Tape ist sehr dünn, klebt extrem stark und ist absolut unsichtbar. The unique XRAY ECS Drive Shaft with 2.5mm pin equalizes the speed between the drive shaft and the wheel. With a unique 2-piece joint between the axle and the wheel, the same extreme wheel turning angle is divided into two shallower angles without joint binding. This means that at the same cornering speed, the inner wheel will not bind or vibrate. Drive through the corner is more stable, more precise, and easier to drive. The ECS Drive Shafts help also with improved landing after jumps. With the ECS drive shafts, wheel vibrations and noise are decreased to minimum, steering is increased, stability of the car is increased and cornering speed and smoothness are noticeably increased as well. A must have option part. 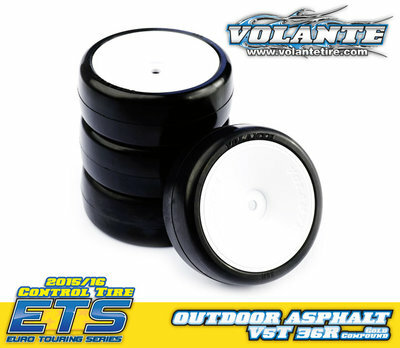 Product information "Volante V5 Tough 1/10 36R TC Rubber Tire Preglued 4pcs"
Best performs at outdoor asphalt tracks. The latest establishment from Volante's tyre development brings you the premium Volante V5 tyre. Developed by Word Champions, the Version 5 combines maximum speed with maximum longevity. Tested on a variety of tracks around the world, the V5 provides superior traction to any other tyre, whilst limiting the "drop off" experienced by many other tires on the market. The tyre and wheel combination is perfectly true, meaning no vibration when driving. Minimum excess moulding material makes it unnecessary to "sand" or "cut" the line from now, making it less time consuming and risky preparing new tires. Volante V5's will be able to provide you with premium traction and longevity in any condition. 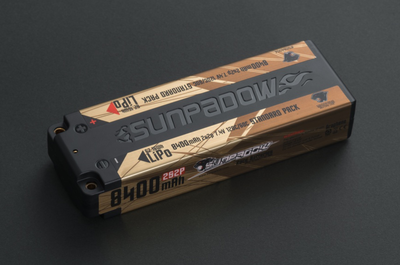 The NEW Sunpadow 2S High-Volt LiPo Battery with 8400mah and 120C at 7.4V is available now! 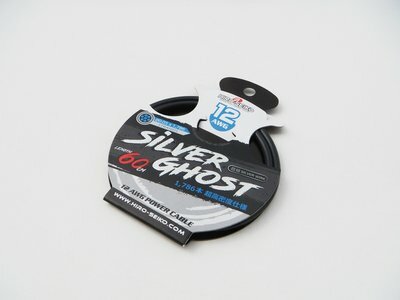 A great power source for all 1:10 Touring Car classes! The huge punch of the battery pack can bring you that extra tenth of a second every lap! 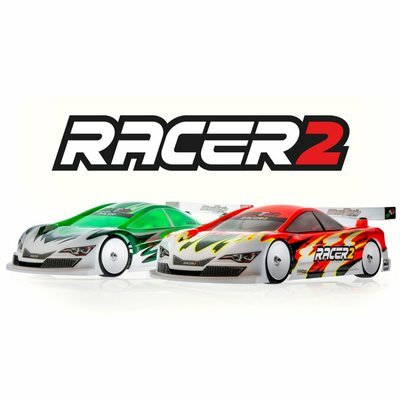 We recommend this pack especially for Stock Spec racing classes! Sunpadow Teamdriver Alexandre Duchet took the TQ and the Win in Pro Stock at the batterys first appearance at the ETS Final in the Hudy Arena! Authentic XRAY alu rear lower suspension holder for the REAR of the front bulkhead, with 0.25° eccentric suspension mount holes. The eccentric holder stands allow more precise toe-in setting with 0.25° increments. Suspension holders are CNC-machined from premium Swiss 7075 T6 aluminum, and provide the lightest & strongest possible support framework for the car. 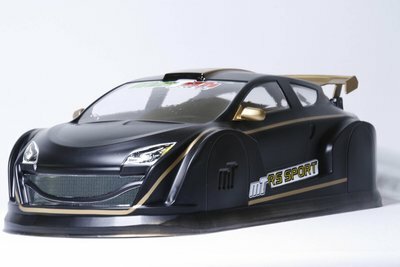 The T4F – a premium, professional, high-competition RC car for the most demanding racers, developed with attention to detail and backed by premium service & support. With XRAY's uncompromising design philosophy bringing everything together to make the best FWD touring car, the T4F captures the unique XRAY character, born of precision craftsmanship, highest attention to detail, and using the finest materials. Designed, developed, and fully manufactured in-house at the XRAY factory in Slovakia, Europe, using precision German and Swiss machines and premium European materials, the T4F is crafted with XRAY's signature attention to detail by our dedicated production specialists. The T4F is super reactive and easy to control thanks to the high traction from the ultra-narrow chassis design. The 2.2mm thick chassis is CNC-machined from premium-grade graphite material and features pre-drilled mounting locations for chassis weights and an adjustable battery holder to tune the T4F balance for any situation. The included 2.0mm graphite top deck works great in most conditions with the standard graphite chassis. The shape of the rear portion of the top has been specifically designed to achieve more traction and in-corner steering. 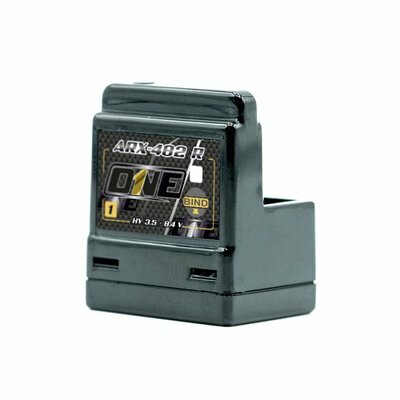 Smart battery holders are specifically designed for LiPo batteries and are reinforced for harder impacts. The battery holders prevent the batteries from moving under racing conditions and crashes. 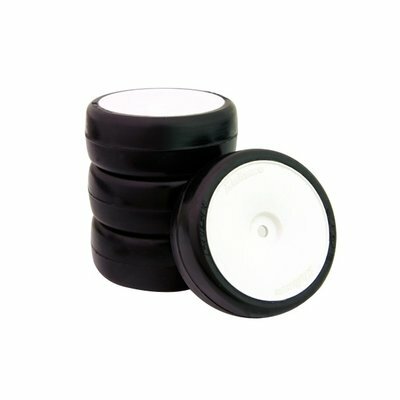 The kit includes two different composite holders for multiple battery sizes and orientations. Adjustable battery holders are available in aluminum or a heavier brass alternative that functions as an additional chassis weight. The T4F chassis accommodates standard or short LiPo battery packs with 4 different mounting alternatives to adjust the proper weight balance. The super small and lightweight bulkheads are positioned towards the chassis centerline to provide maximum traction, steering, and proper balance. To accommodate the ball-bearing anti-roll bar mounting system, the bulkheads feature integrated mounting locations to hold the anti-roll bar collars for precise and smooth operation. All bulkhead parts are CNC-machined from premium Swiss 7075 T6 aluminum and are designed to provide the lightest and strongest support framework for the car. The design of the motor mount allows for super easy installation of the motor using only 3 screws. The motor mount is designed to keep the CG of the car as low as possible. The front wheel drive system features XRAY’s proven Gear Differential with a 38T pulley and a super lightweight, hollow aluminum layshaft with 16T drive pulley for an efficient internal ratio of 2.375. Access to the front differential is quick and easy via the removable upper clamps. From the narrow arms, to the compact front and rear suspension blocks, through the small and robust steering blocks, every suspension part has been designed to provide responsive handling characteristics in all racing conditions. The ultra-lightweight suspension parts are molded from a special composite material to reduce un-sprung weight and still retain the durability to withstand the rigors of high-performance racing. Using eccentric bushings inserted into the aluminum suspension holders, combined with adjustment shims and multiple mounting locations, the T4F suspension geometry is completely adjustable. • FR - Rear of the front suspension – 1-piece for stability, easy to drive in all conditions but especially under high-traction conditions. Optional 2-piece holders give increased in-corner steering, and are recommended for use on asphalt and low-traction track conditions. 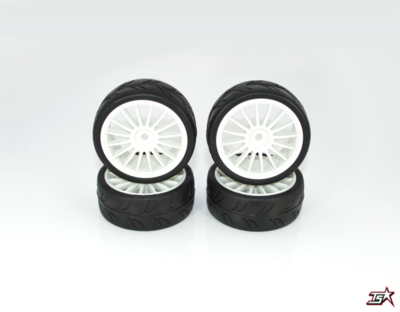 • RF - Front of the rear suspension – 2-piece for maximum rear traction. • RR - Rear of the rear suspension – 1-piece for stability and better rotation. The specially-formulated composite material results in a very lightweight suspension arm that can withstand the rigors of high-performance racing. Features include a single optimized shock mounting position and integrated anti-roll bar mounts. The included composite suspension arms generate more overall traction, making the car easier to drive and increasing stability. The graphite suspension arms for higher traction tracks are available separately. XRAY’s SFA™ graphite stiffeners allow for super-quick suspension flex adjustment to easily adjust the traction of the car in various track conditions. The smart graphite stiffeners can very quickly adjust the car to current conditions without changing suspension arms. At the beginning of a race event when traction is low, the arms are used without the SFATM graphite stiffeners. When the traction increases, the suspension can easily be made stiffer by mounting the SFATM graphite stiffeners for more stability and easier driving characteristics. The graphite stiffeners give the car maximum stability in chicanes and allow for easier and smoother steering. 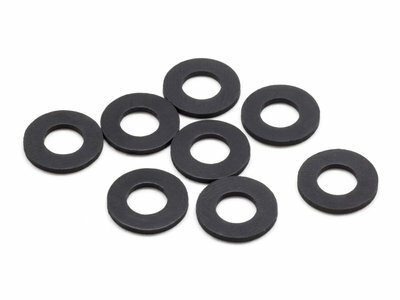 Made from 1.6mm thick high-quality CNC-machined graphite material, the stiffeners can be easily mounted or removed by only a few screws whenever needed. The C-hubs are available in all standard caster angles (2°, 4°, 6°) and are also available in 4 different hardnesses for various racing conditions. The C-hubs feature large openings for quicker assembly and maintenance of the ECS drive-shafts. The entire ECS assembly can be easily inserted/removed through the C-hub without the need for disassembly. The added clearance also reduces collisions between the drive-shaft and the C-hub in crashes. The medium 4° C-hubs are included in the kit which are suitable for the most common track conditions. The small and tough steering blocks each feature two Ackermann positions. The front steering blocks also feature small but robust 5x10x4mm ball-bearings to minimize unsprung weight. The hard steering blocks are included in the kit which are suitable for the most common track conditions. 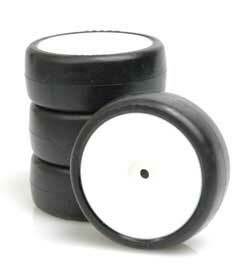 The steering blocks are available in three different hardnesses to adjust for various racing conditions. The rear uprights are available in several versions for multiple suspension tuning choices. The Hard, 0°, 2-hole upright is included in the kit for its versatility, suitable in a wide range of conditions. All molded rear hubs feature small but reliable 5x10x4mm ball bearings to minimize un-sprung weight. The rear uprights are available in 3 different material formulations blended for different needs depending on traction levels. The hubs are also available with 0° or 1° of outboard toe for different combinations of inboard and outboard toe. Please note that 1° hubs are L/R side specific, while the 0° blocks will fit either side of the suspension. In situations where the inner and outer ball joint positions of the stock hub create too much or too little chassis roll, the 1-hole hub provides an additional midpoint location to compliment the standard 2-hole adjustments. The dual-arm steering system is supported by six ball-bearings and runs on aluminum stands. Ackermann is easily adjusted by inserting shims between the steering plate and steering rods. The steering system has a low mounting position for the steering linkage, giving the car easier handling going into corners. More aggressive handling is easily accomplished by inserting shims between the steering blocks and steering rods. The optional floating steering system works without affecting flex. This makes the car easier to drive in high-traction conditions, and chassis roll is reduced especially when driving through the curbs. The car also handles more consistently on bumpy tracks. In combination with #302570 Steering Plate, the steering system can adjust to 4 different flex characteristics. Using the graphite steering plate, chassis flex is medium; when using the steering plate with aluminum stand, flex becomes stiffer for more aggressive handling and increased steering. 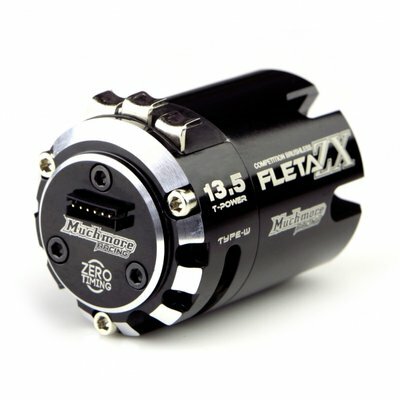 Thanks to the unique design of the servo holder, changing the flex of the steering system is quick & easy. There is no need for other parts, and there is no need to assemble/disassemble the servo holder. The popular XRAY servo saver consists of 4 springs which makes the servo saver strong enough to provide the precise steering racers demand, while still being flexible enough to prevent servo damage in hard crashes. The servo saver has interchangeable bushings to fit most popular servos. The front of the car is protected by a composite lower bumper with an additional foam bumper made from high-density foam material. The upper graphite bumper holds the entire bumper assembly together. Upper clamps feature integrated centering pins to easily mount the graphite shock towers in the proper position, and more importantly these will ensure that the shock towers do not move in a crash and cause chassis tweak. The T4F front upper clamps hold the lay shaft which keeps the design of the car very tidy and very easy for the maintenance of the car. Made from premium Swiss 7075 T6 aluminum and anodized orange, the upper clamps have been milled to remove unnecessary material to reduce their size and weight. The shock towers are designed to be used with ULP (Ultra-Low Profile) shocks. 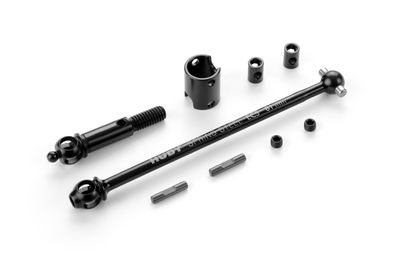 The towers feature alignment holes for the upper clamp centering pins that ensure perfect fitment of the shock towers in exactly the same position every time they are installed, helping to eliminate tweak or uneven spring pre-tension of the shocks. The shock mounting locations were selected to provide the best dampening characteristics and to work on all surfaces and traction conditions. The rear shock tower features multiple positions for body post mounting depending on the body used. Machined from premium-grade 3.0mm graphite, the shock towers are super lightweight and very compact. The ULP (Ultra-Low Profile) shock absorbers make the car easier to drive in chicanes and make it more resistant to traction rolling, letting the car carry more speed through high-traction sweepers. Steering response and overall cornering speed are significantly improved as well. The shock bodies are CNC-machined from premium Swiss 7075 T6 aluminum and hardened to ensure maximum lifespan. The aluminum upper & lower nuts have a low-profile design, including ULP sealing O-ring and upper composite ball joint. The piston set includes 3- and 4-hole pistons with 1.0, 1.1, and 1.2mm diameter holes. The pistons are molded using special processes and composites to ensure extreme roundness while maintaining maximum stiffness and durability. Innovative progressive shock system for ULP touring car shocks for improved traction and steering characteristics. Shock insert has 3 triangle cuts and is used with piston without holes. The hardness of the shock is influenced not by the holes in the piston but with the insert. The insert is mounted into the shock with wider surface on the bottom of the shock and narrower on the top. When the piston is at the bottom of the shock, it moves softer and dampening becomes harder when the piston is going to the top. This means that the shock dampening is softer in the first part of movement and becomes harder when the car is moving more. The shock inserts must always be used with pistons without holes, must be used both front & rear, and only on asphalt. The same oil is used in these insert-equipped shocks as with standard shocks. XRAY’s full range of existing shock springs may also be used on the ULP shocks, so the T4R can still use the entire range of springs available for the T4 family of touring cars. 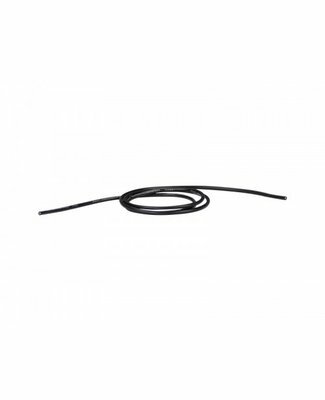 The 4S springs - like all other XRAY springs - are manually measured, selected, and matched into pairs to guarantee precisely equal length and damping characteristics. Precision-molded 96 tooth, 64-pitch composite spur gear is strategically lightened to reduce rotating mass. Most popular sizes available for additional gear ratio choices. Complete gear differential set includes composite differential case and cover with pulley. Differential gears are made from tough composite material, precision-molded composite gears combined with light aluminum hardcoated outdrives, which create a lighter and super-smooth gear differential. When the diff is correctly built there is no need for maintenance for a very long time. There is no need to change oil on a regular basis, and there is no leakage due to the very good sealing system. The gear diff also increases on-power steering which is needed on almost all types of tracks. Works great for both carpet and asphalt tracks. The XRAY ECS drive shafts equalize the speed between the drive shaft and the wheel. With a unique 2-piece joint between the axle and the wheel, an extreme wheel turning angle is divided into two shallower angles without causing binding. Regardless of cornering speed and wheel angle, the inner wheel will not bind or vibrate. Drive through the corner is more stable, more precise, and easier. With the ECS drive shafts, wheel vibrations and noise are decreased to minimum, steering is increased, and cornering speed & smoothness are noticeably increased. Ultra-lightweight wheel hex drive hubs are CNC-machined from 7075 T6 black-coated aluminum. These ultra-true hex hubs are specially machined to reduce rotating weight while guaranteeing wobble-free wheel mounting. Optional offsets are available (-0.75, +0.75, +1.5mm). The front bulkheads feature integrated belt-tension adjustment through the use of adjustable eccentric bearing holders, eliminating the need for a separate belt tensioner to reduce friction and improve drivetrain efficiency. The eccentric bearing holders also allow for differential height adjustment. By rotating the diff eccentric holders 180°, the height of the diff can be adjusted by 1mm. Bulkheads feature integrated belt-tension adjustment through the use of adjustable bearing eccentric holders, eliminating the need for a separate belt tensioner. 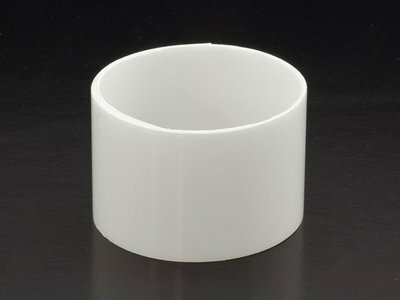 The eccentric bushings allow also diff height adjustment. By rotating the diff eccentric holders, the height of the diff can be adjusted by 1mm. The wobble-free anti-roll bar system is mounted to the front & rear bulkheads via bearings for extra-smooth movement and quick & easy changes and adjustment. The roll bars rotate in ball-bearings for maximum precision and free movement. Anti-roll bar height is adjustable via a screw. The complete range of different anti-roll bar thicknesses is designed to work with the ball-bearing roll bar mounting system. Front 1.3mm and rear 1.3mm anti-roll bars are included as standard. Anti-roll bars have laser-engraved stripes (corresponding to bar thickness) for easy identification. A full set of 22 high-speed, blue-sealed and steel ball-bearings are used throughout the drivetrain, steering and anti-roll bars to ensure maximum efficiency. All of the bearings are degreased and oiled with Aero Shell® Fluid 12 for maximum smoothness and long life. The bearings used in steering blocks have been specially selected to reduce unsprung weight and maximize drivetrain efficiency. Aluminum adjustable turnbuckles are CNC-machined from 7075 T6 material with a stylish black coating. These turnbuckles are used for front and rear upright linkages as well as for the servo saver. The aluminum turnbuckles are lighter than steel to help decrease the overall weight of the car. Chassis design focuses on balanced weight distribution and weight transfer. The chassis features pre-drilled holes for additional weights for optimum car balancing. Centerline holes are pre-drilled for easy balancing with the HUDY Chassis Balancing Tool #107880. Premium HUDY Graphite Grease is a high-performance, advanced-technology semi-fluid lubricant which incorporates both extreme pressure additives and finely-dispersed graphite for load carrying. It is intended primarily for the lubrication of rotating parts and loaded gears. In addition to providing outstanding load carrying, it is formulated to have excellent adhesion and resistance to "fling-off" under extreme conditions. The grease reduces wear and increase the parts life. #106210​ HUDY Graphite Grease. The extensive and impressive range of adjustment possibilities includes: caster, camber, toe, anti-dive, anti-squat, ride height, downstops, track-width, lower roll center, upper roll center, roll center positions, steering roll center, wheelbase, Ackermann, adjustable shocks, adjustable in-line flex adjustment, adjustable front chassis flex, adjustable diff. XRAY instruction manuals have become the industry standard, being simply the best manuals you will ever get with an RC model car. Whether you are a first-time builder or an experienced racer, all the instructions are straight-forward and easy to understand. The full-color Instruction Manual contains large 3D illustrations that show all assembly details in the clearest possible way. 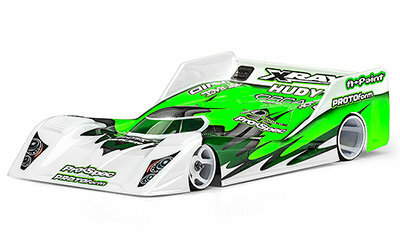 Owning an XRAY model racing car is an experience on its own. Not only will you own the most premium luxury model racing car in the world, but you will also become a member of the prestigious family of XRAY owners with direct support and service from the XRAY factory. 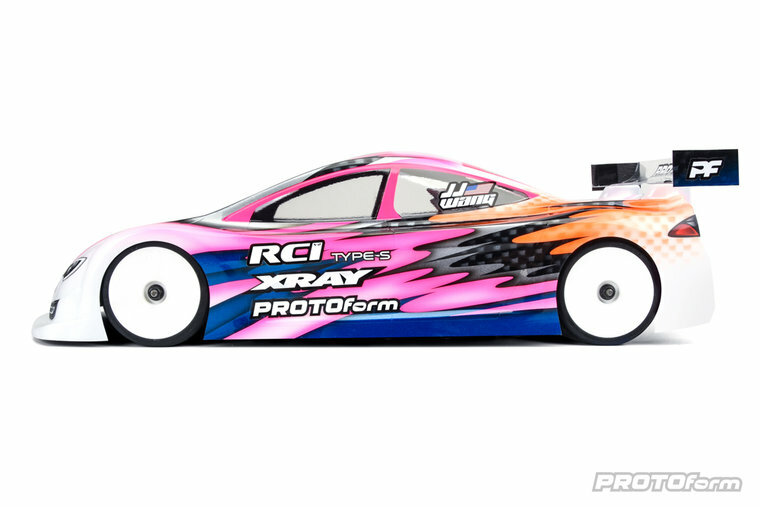 XRAY brings you the most up-to-date RC Web site on the Internet, with daily racing news and latest product developments. If you have any questions, problems or comments, you can ask the XRAY Support Team or any XRAY Factory Team Driver on the XRAY Support Forum. You can even upload your own set-up sheets or download from the thousands of different set-up sheets available from all around the world at the exclusive XRAY Virtual Set-up Sheet Database, the world’s largest set-up sheet database. And that is only the start of the VIP treatment you get by joining Team XRAY.